Google parent company Alphabet Inc. reported $4.1 billion in net income for the first quarter of 2016, up from $3.5 billion during the same period last year, but failed to beat analysts' estimates on an earnings-per-share basis. According to its earnings report released today, earnings per share for the first quarter were $7.50, less than the $7.96 predicted by Wall Street. During the first quarter of 2015, earnings per share were $6.47. Alphabet's total quarterly revenue was $20.3 billion, a 17 percent increase over the first quarter of last year. Advertising revenue increased 16 percent to $18 billion, up from $15.5 billion a year prior. "Our Q1 results represent a tremendous start to the year with 17 percent revenue growth year on year and 23 percent growth on a constant currency basis," Alphabet Inc. CFO Ruth Porat said in a statement. "We're thoughtfully pursuing big bets and building exciting new technologies, in Google and our Other Bets, that position us well for long term growth." Those "other bets"—projects like self-driving cars, Google Fiber and Nest—cost the company a total of $802 million in the quarter. 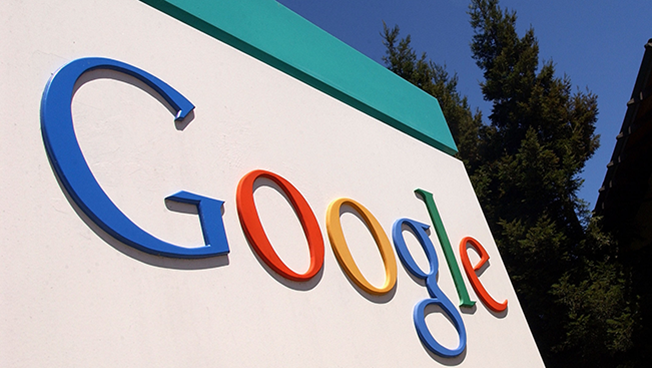 (A year earlier, Google lost $633 million on similar projects.) Losses on other bets during all of 2015 totaled $3.6 billion. However, some big bets in the quarter did create $166 million in revenue, which Porat said was led mostly by Fiber, Nest and Verily. Aggregate paid clicks were up 29 percent year over year, while paid clicks on Google websites rose by 38 percent. Paid clicks on Google Network members' websites were up 2 percent, and aggregate cost per click fell 9 percent. During the call, Porat said mobile search revenue was "up significantly" in the first quarter and continued to outperform desktop search. However, desktop search did show modest gains, while programmatic and mobile advertising continued their strong growth. CEO Sundar Pichai said the company is seeing a growing percentage of users signed into Google, a benefit to marketers that wish to target users based on their activity across Google's entire suite of products. On mobile, all users are signed in, Pichai said. And with more than 50 percent of all users on mobile, the number of users signed in should continue to grow (which over time could amount to the majority of Google's user base being signed in). Pichai also pointed to the success of YouTube, which he said now reaches more 18- to 34-year-old users than any television network. "What seemed like moon shot a decade ago had turned into a booming community of engaged users, creators and brands unlike any other video platform," he said.